Декоративный облицовочный камень "Датский кирпич"
Decorative facing stone "Maltese fort"
Элемент ландшафтного декора "Полусфера бетонная"
Manufactured stone is environmentally friendly material. White cement of high quality is used to produce it which provides high resistance to changes in temperature and humidity. Our manufactured stone veneer is used for both exterior and interior finishing as well as for landscape projects. 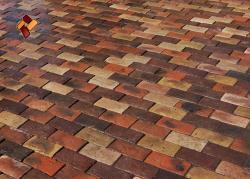 Manufactured stone is resistant to temperature changes, moisture, oils and coloring liquids. 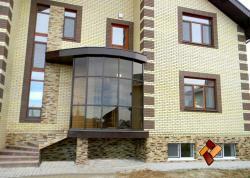 It can take any shape which makes it perfect for facing facades and exterior finishing. Our manufactured stone veneer allows you to implement your every wish to make your house more refined. 1. It is lighter than natural stone. 2. It is easier to deal with when cladding. 3. It protects the cladded surface from aggressive environments. 4. It accurately imitates natural reliefs. 5. 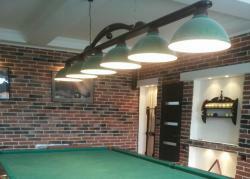 It adds a lot of architectural charm and texture to a building or interior design. 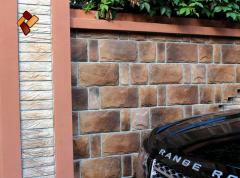 Art-Stone Company actively cooperates with designers, architects and landscape design specialists. 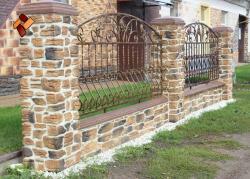 Our products are in high demand in Kazan, Tatarstan as well as outside the republic. Our technologists developed high-precision molds made of high-quality polyurethane that allow imitating diverse textures of natural stones. Our manufactured stone veneer is dyed all the way through. Its color does not shed or fade. 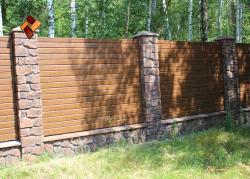 We also use high-quality pigments in the manufacturing process that guarantees high resistance of the stone to fading. Art-Stone Company offers you the services of its highly-qualified specialists for installation of manufactured stone products indoors or outdoors. Our specialists are experienced in laying manufactured stone with grout joints. 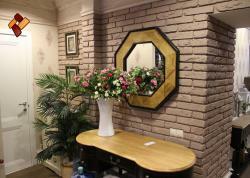 We also have long-standing expertise in installation of manufactured stone veneer over extruded polystyrene foam. Cladding done by our specialists is covered by a two-year warranty. We offer a fifty-year warranty on our manufactured stone products (provided that they are treated with hydrophobic coating). 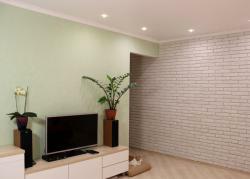 The price range of our services varies from 600 to 1000 rubles per square meter. In the process of production, we use special techniques that make it possible to obtain the maximum similarity between manufactured and natural stone. Our stone is conveniently packed in corrugated cardboard boxes and is easily transported. With our manufactured stone products, you can easily implement your ideas for decorating your mansion, country house, condo, office or landscape. Our company employs qualified specialists who can go to your site for measurements, organize and carry out exterior or interior finishing, as well as ensure compliance with the technology of laying manufactured stone. 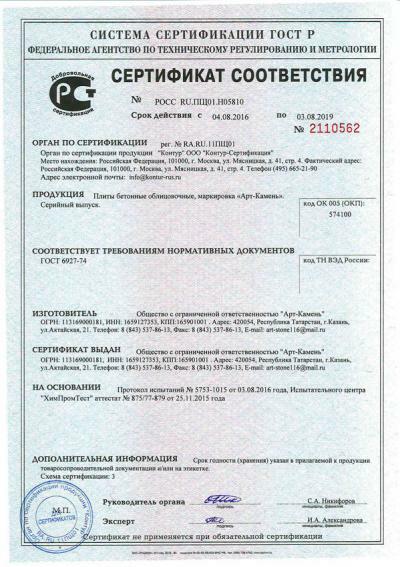 Art-Stone products are certified by the Certification Center in Moscow.